REYKJAVIK, Iceland, August 26, 2014 (ENS) – Icelandic officials and scientists are warning airlines and travelers of intense seismic activity at the Bardarbunga volcano, Iceland’s second highest mountain. Starting in early June, the seismic activity there has been continually increasing. 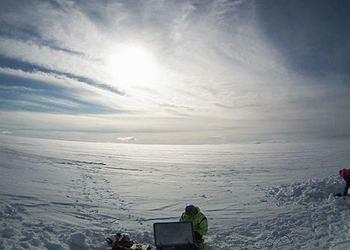 At 01:26 this morning an earthquake of magnitude 5.7 was observed beneath the Bárðarbunga caldera. Over 500 seismic events have been recorded since midnight, according to the joint daily status report from the Icelandic Met Office and the University of Iceland’s Institute of Earth Sciences. On August 25, over 1.200 earthquakes were automatically detected under the northwestern part of the Vatnajökull ice cap. The ice-covered Bárðarbunga volcano is located to the northwest of the Vatnajökull ice cap. If this volcano erupts, it could mirror the 2010 eruption of the Icelandic volcano Eyjafjallajokulland the air travel chaos caused by the resulting ash cloud. From April 14–20, 2010, ash covered large areas of northern Europe when that volcano erupted. Twenty countries closed their airspace to commercial jet traffic, canceling 100,000 flights that affected 10 million passengers and cost an estimated US$1.8 billion. Seismicity continues to migrate northward. Seismicity is now concentrated on the tip of the dike extending five kilometers (three miles) beyond the edge of the Dyngjujökull glacier, an Advisory Board of scientists concluded today. “The dike beneath Dyngjujökull is now thought to be close to 40 km long. Modelling of GPS data indicates that about 50 million cubic meters of magma have added to the volume in the last 24 hours,” said the Advisory Board. 1 – The migration of magma could stop, with a gradual reduction in seismic activity. 2 – The dike could reach the surface of the crust, starting an eruption. In this scenario, it is most likely that the eruption would be near the northern tip of the dike. This would most likely produce an effusive lava eruption with limited explosive, ash-producing activity. 3 – An alternate scenario would be the dike reaching the surface where a significant part, or all, of the fissure is beneath the glacier. This would most likely produce a flood in Jökulsá á Fjöllum, Iceland’s second longest river, and perhaps explosive, ash-producing activity. Other scenarios cannot be excluded, such as an eruption inside the Bárdarbunga caldera. This is possible but presently considered to be less likely, said the Advisory Board. There are about 30 known central volcanos, or volcanic systems, in Iceland. 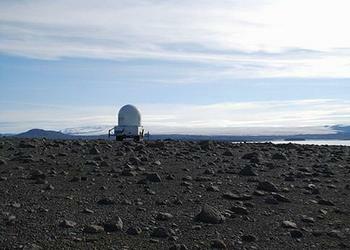 Bárðarbunga, about 2,000 meters (6,560 feet) above sea-level, is one of them. A caldera in the volcano’s crown, 11 km long on the longer side, is covered with approximately 850 meter-thick (2,788 foot-thick) glacial ice. Eruptions related to the central volcano can occur anywhere in the caldera, on the sides of the volcano and also in the fissure swarms surrounding the volcano, for a distance up to 100 kilometers (62 miles) away. Over the last seven years seismic activity has been gradually increasing in Bárðarbunga and the fissure swarm to the north of the volcano. This activity dropped down at the Grímsvötn eruption in May 2011, but soon after, the activity started to gradually increase again. Icelandic scientists say that immense eruptions and explosive eruptions are a possibility in the system with imminent threat of ice melting in great magnitude causing a huge glacial outburst flood.